Having a dinner party with some family and friends? Want to add a little extra special touch to the table? 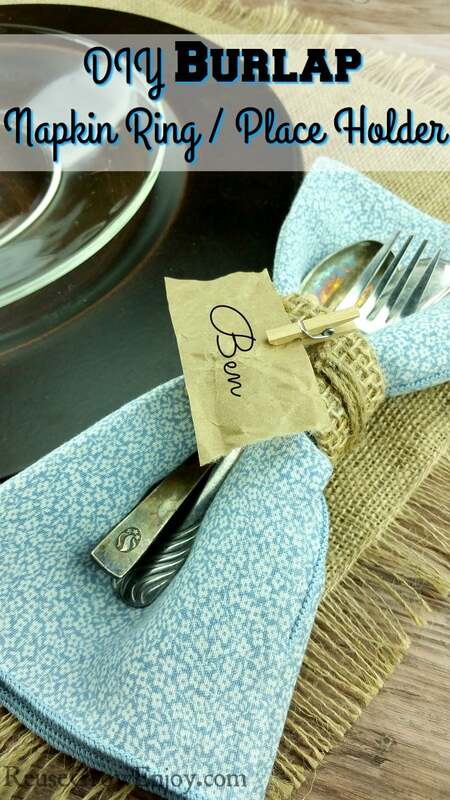 Nothing stands out more than a pretty napkin ring and name place holder. 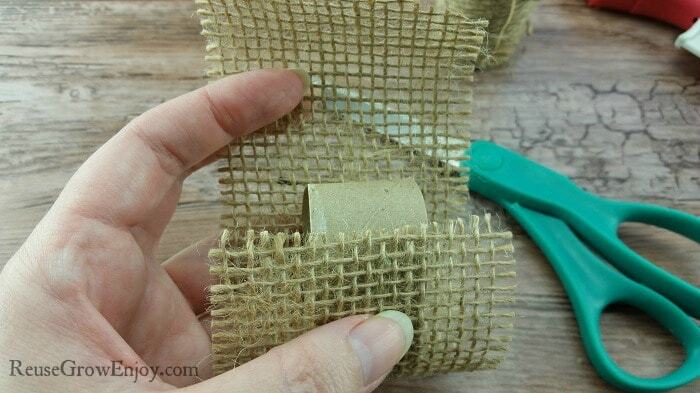 Did you know that you can make your own pretty easy and super cheap? You can! 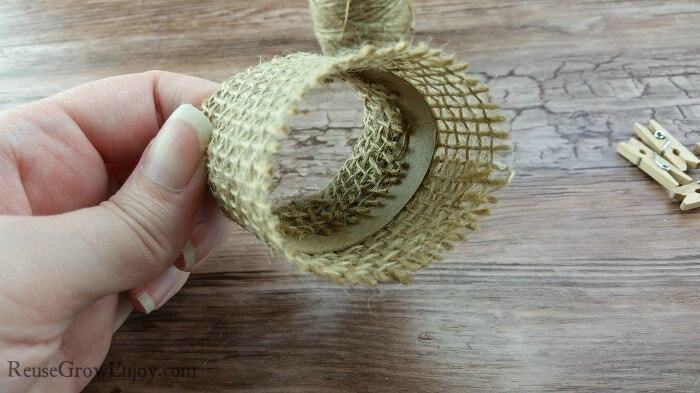 I have down a DIY step by step for DIY Plastic Bottle Leaf Napkin Rings (with video) before. 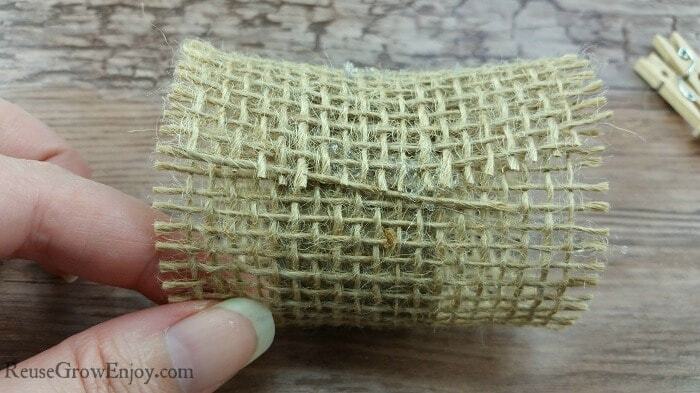 But today I am going to show you how to make ones with burlap. After you have all your supplies together, these really only take about a minute two per ring to make. So if you are having a dinner party for say 6 friends, you could have 6 napkin rings made in about six to twelve minutes. First thing you want to do is cut the tubes into about inch and half pieces. It does not have to be right on. You just do not want to have it so wide that the burlap can not be tucked in. 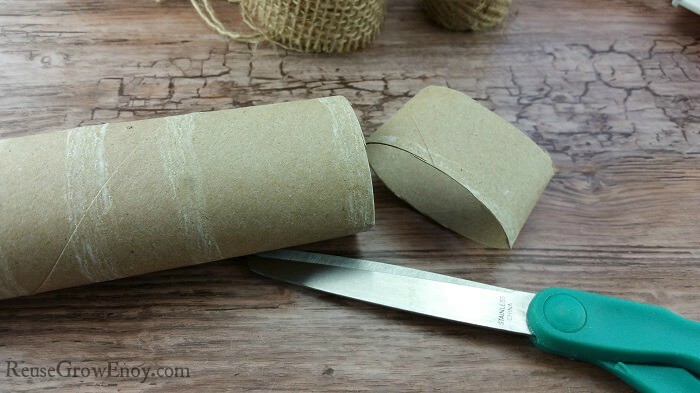 Next, cut a piece of the burlap ribbon long enough to wrap all the way around the cute piece of cardboard tube. 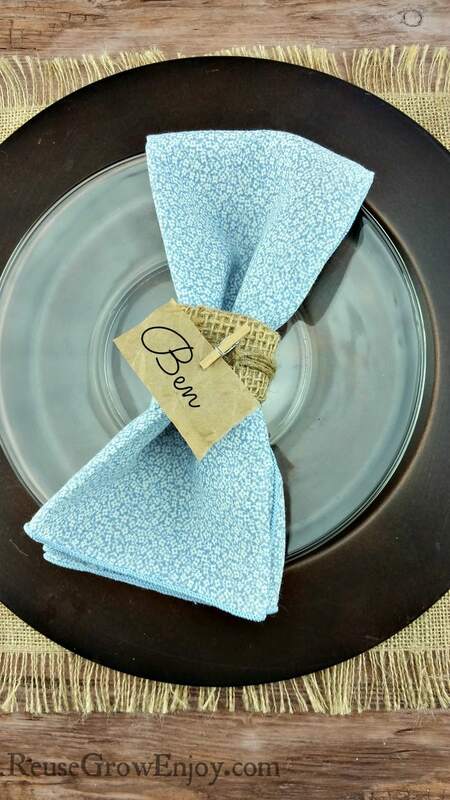 Now, use the hot glue gun to glue the burlap ribbon to the napkin ring. 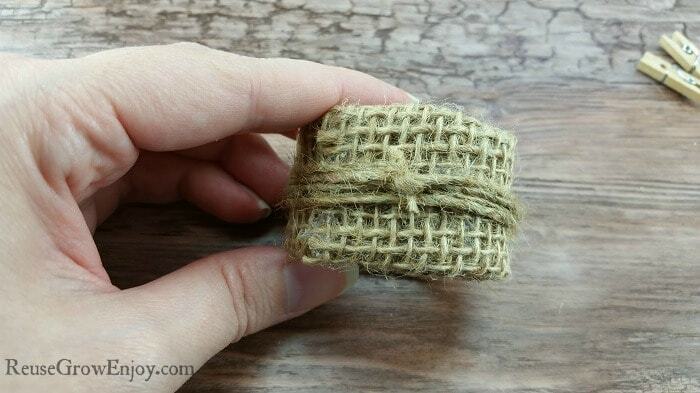 After you have it glued down, you can tuck the ends of the burlap into the napkin ring and use the hot glue to hold it in place. 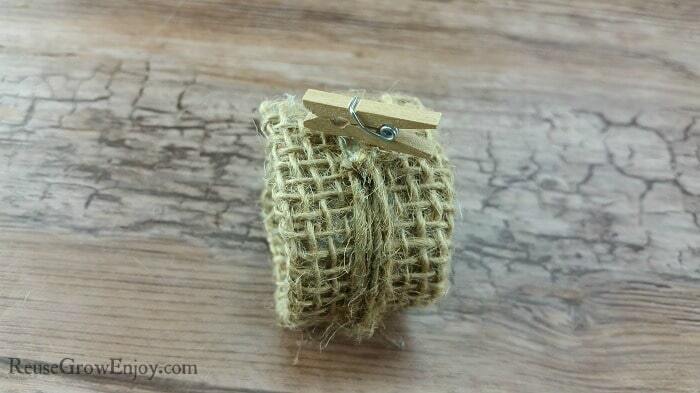 Allow a few seconds to dry and then you can move on to adding the twine. 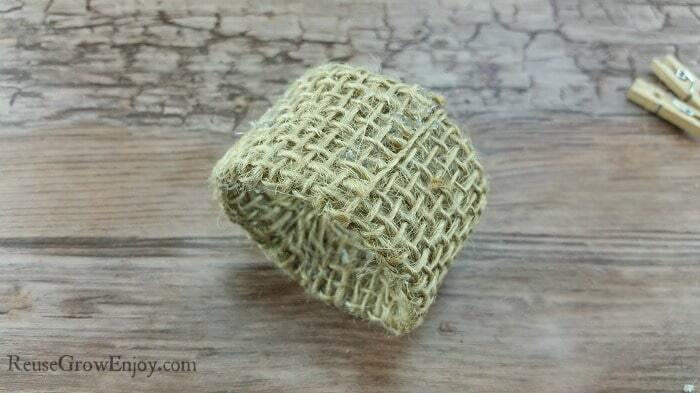 Cut a piece of twine that is long enough to wrap all the way around the napkin ring three to four times. After it is cut, wrap it around then tie it in a semi tight knot. If the ends are a little long, you can trim the off with the scissors. 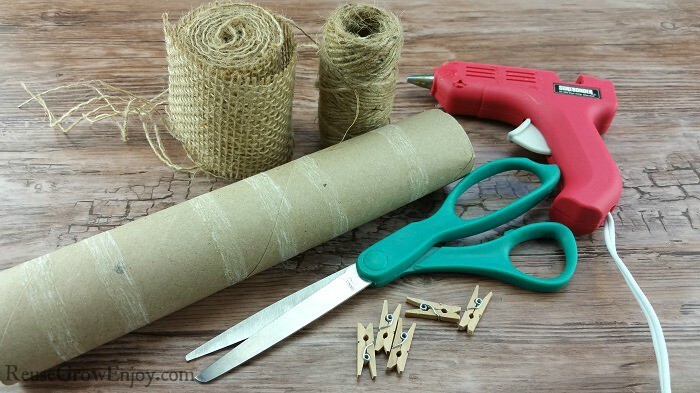 Now you want to hot glue the mini clothespin on the top of the knot you tied in the twine. The last part is to add the names. I used a crumpled up piece of brown packing paper (get it in my packages all the time) but you can also use a small piece of a paper bag. Just be sure to give it a few crumples to give it that crinkly look. Now take your marker and write the persons name on the paper. Clip it into the little clothespin and you are all set. 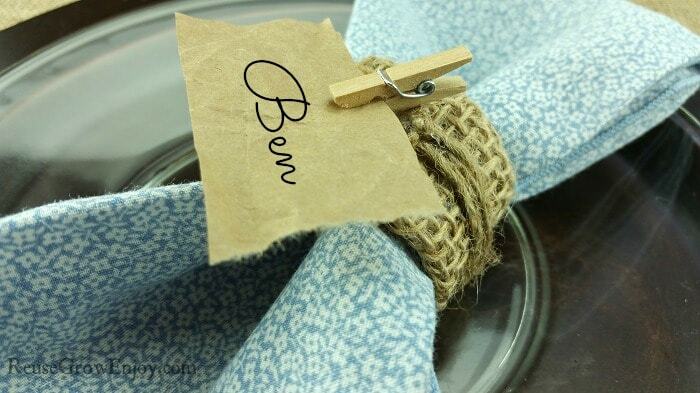 You now have a lovely new burlap napkin ring! If you liked this craft / upcycled idea, here are a few others to check out.